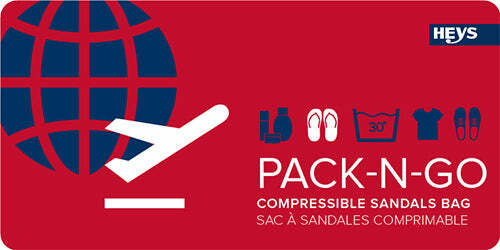 The Pack N’ Go Compressible Sandals Bag comes with unique features that help maximize space and make packing fun. 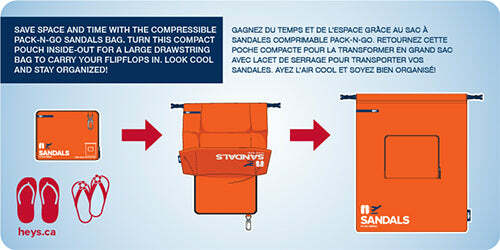 Available in a variety of colours, this compact pouch turns inside-out into a large drawstring bag to store your footwear. Great for any trip, Pack N’ Go Travel bags help you save space and keep you stylishly organized.